E-commerce business is very productive yet quite challenging to make a mark. 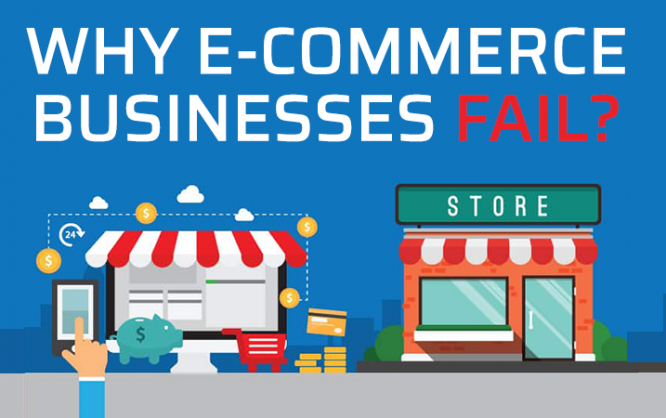 Sometimes it becomes difficult for entrepreneurs to make their business a success and many online businesses end up being an ultimate failure. Lack of knowledge and expertise may drag you to a blind path, which eventually ends nowhere. No matter your business is flourishing well there are always chances of losing the track and loss of interest from the target audience. When you will not show up in the top of search rankings, eventually you will get ignored by many. You shouldn’t expect to be found either way by your potential customers instead there is foremost need of each website to be optimized according to the advanced SEO standards. As nearly as 35% people prefer to search for products through search engines like Google. Now almost every brand has its online presence and products are listed with their specifications and prices. Most of the times entrepreneurs seem to be in a rush for making fast and easy money without even considering to amplify their websites and following the guidelines. That’s why many stores fail in their first attempt of achieving recognition and get abandoned within a few months. The patience and deep knowledge about buyer’s interests and purchasing behaviors are the keys to get leverage in the eCommerce field. Meanwhile, when you are doing well with your eCommerce business, consider cutting off shipping rates to a minimum. As a startup, you can also facilitate shoppers by not deducting shipping charges as nearly 23% of shoppers made their purchases when online stores don’t take shipping charges at all. It is ideal to provide an excellent shopping experience to buyers, who have chosen your platform over hundreds of others. Your platform should also be fully secured so the buyer feels comfortable shopping there. Due to the huge number of cyber crimes, buyers are reluctant to approach a website that has higher chances of getting hacked. So, make sure you have taken every precaution for securing your website from online threats. Another reason for the loss of visitors and sales is the poor user interface of your online store. People will leave the website if it is not loaded with essential functionalities and execute impression. Zeeshan Khalid, a Web Architect, an eCommerce Specialist, and an Entrepreneur. He is the CEO and founder of FME Extensions, a leading e-commerce web design and Magento 2 development agency. Over the years, FME Extensions has successfully delivered projects in Magento, WordPress, WooCommerce, Joomla and other CMS/shopping cart platforms. You can find me on the Linkedin.